Pictish Trail in action – photograph by Laura Meek. 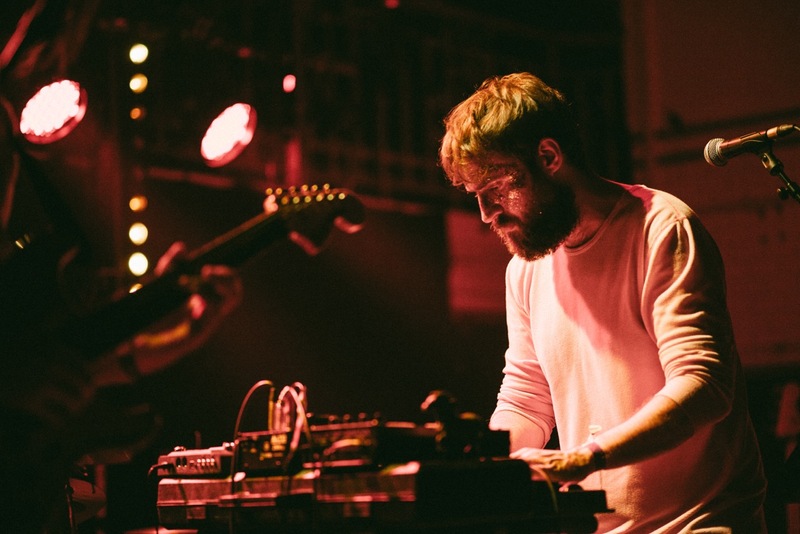 Eigg-based musician ‘Pictish Trail’ is one of the first names confirmed on the bill for this year’s Skye Live Festival, which will take place in September. Tell us a bit about yourself and your musical journey? I’ve got great hair, and I’m a huge star (in the Small Isles). I wasn’t always such a big-time celebrity, though. About 15 years ago, I was part of a small collective of musicians in Fife and ran a label called Fence Records. Back then, the music I made as Pictish Trail was predominantly on my own, and quite miserable – just me and an acoustic guitar. I relocated to the Isle of Eigg in 2010, and – while taking good care of my hair – managed to attract a loyal following of fans and band members. I was going to start a religious cult, but instead started a new label called Lost Map Records. Nowadays, Pictish Trail performs live as a 5-piece band, making music that is loud and weird/fun. It’s well documented that you’re now based on Eigg, how do you find it as a place for creativity? It’s a magic place. Very quiet. There’s not too many people, here. I’m the sort of person that gets distracted easily, so Eigg is a really good place for being alone with your thoughts and focussing on creative projects. For those who haven’t heard Pictish Trail before, describe your sound and what they can expect from seeing you live. We play as a band these days – live drums, electronic drums, synthesisers, electric guitars, stupid noise machines, harmonised vocals, samplers and glitter. Lots of glitter. I still play acoustic guitar, but through a lot of effects pedals, so that it sounds like the sort of thing from Donovan’s nightmares. It’s music you can dance to, and I actively encourage knee slides. I spent a lot of 2017 on tour, so I’ve been taking a bit of a break from my own music. Currently, I’m immersed in other people’s records – releasing albums by a range of different acts on my Lost Map label. Basically, nicking ideas for my next album. Who else would you recommend seeing at Skye Live 2018? There’s a lot of stuff I’m unfamiliar with, which is really exciting. So many festivals, particularly in Scotland, rehash the same line-ups over and over again. The thing that really appeals about Skye Live is that it’s completely different from everything else out there. I’m really interested to see this Mac-Talla Nan Creag set from Firecracker Recordings. My friend Gavin gave me a copy of the album last year, and it’s a really beautiful record, lots of interesting textures in there. Pictish Trail plays Skye Live 2018 at The Lump in Portree on Saturday 22nd September. Tickets are available from www.skyelive.co.uk.